The outburst of the mobile epidemic in general and the iPhone in specific over the last few years, have created a secondary wave of successful products and services. One of these products is the mobile photo-based social network, Instagram. Now, according to unofficial reports Instagram may surpassed the 26 million users milestone, becoming the most popular mobile-based social network in the world. Dirk Singer, head of the social media agency Rabbit, was the first to report in his blog Lies, Damned Lies & Statistics that Instagram has passed the 25 million users mark compared to the mobile-based social network runner up Foursquare with “only” 22 million. He came up with this numbers after discovering that two Instagram’s API statistic sites (Statigram and Ink361) are numerating Instagram’s users by sequential numbers. The user-count begins at number 3 where it is Kevin Systrom, the CEO and co-founder of Instagram. To examine what is the current number of users, I have just opened a new Instagram account. My number in both Statigram and Ink361 is the same- 26,109,396. Meaning that as for this point in time there are more 26.1 million registered users on Instagram. We can find a reinforcement to the accuracy of these finding if we compare the last time we got official numbers from Instagram (December 2011- 16 million users) to the number of the Statigram and Ink361 accounts around that period, which are pretty much correlated. But don’t open the champagne yet… Even if those numbers are 100% accurate, they are still pointing out on REGISTERED users and not on ACTIVE users, as I already stated about the Twitter’s 500 million users report in the past. The user-count numbers also includes inactive and zombie accounts and therefore they can’t really teach us about the real more meaningful number of active users. As the recent case of Google+ taught us, you can have gigantic amount of registered users, but it doesn’t really matter if their level of engagement is poor. What we do can learn from this story is that mobile and photo social networking services is growing fast. Gaining 10 million new accounts in three months time is pretty amazing even if we don’t know how many of those accounts are really active. 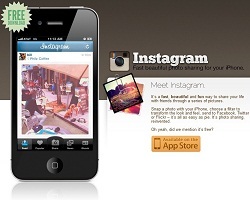 Update (3.12.2012)- Instagram’s co-founder Kevin Systrom has confirmed to TechCrunch that the photo sharing social networking app now has more than 27 million registered users. Although he didn’t revealed further information about daily/monthly active users, he did say that 67% of Instagram’s users (slightly more than 18 million users) were active at the day before. Systrom also added that soon the company will also launch an app for Android, which increases its reach drastically.